Bribery by foreign nationals is not covered under any domestic anti-corruption laws at present. A Bill that makes accepting or giving bribe by foreign public officials a criminal offence entailing imprisonment of up to seven years among others strict penal provisions will be moved afresh in the Parliament by the government. The Prevention of Bribery of Foreign Public Officials and Officials of Public International Organisations Bill, 2011, lapsed with the dissolution of the 15th Lok Sabha in May last year. The Bill is proposed to be introduced afresh and Law Commission of India has been asked to provide their views and comments, official sources said. However, it has not yet been decided whether it will be moved in the monsoon session of the Parliament which begins from Tuesday, they said. The legislation will be a stand alone law to deal with bribery by foreign public officials. 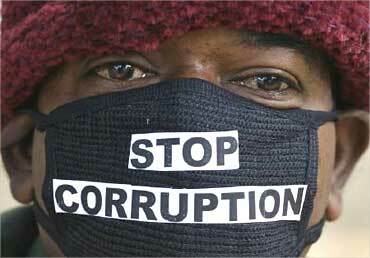 The 2011 version of the Bill has provision to punish both bribe taker and giver. It also empowers the government to enter into agreements with other countries or contracting states for enforcing this law and for exchange of investigative information. The government will also give notices for consideration of the Whistle Blowers Protection (Amendment) Bill, 2015 and Prevention of Corruption (Amendment) Bill, 2013, which are pending in Rajya Sabha, the sources said. The Prevention of Bribery of Foreign Public Officials and Officials of Public International Organisations Bill, 2011 was introduced in Lok Sabha on March 25, 2011 and referred to a Parliamentary Standing Committee in April the same year. The Parliamentary Standing Committee on Personnel, Public Grievances, Law and Justice gave its report on March 29, 2012. The then Union Cabinet had in 2013 approved certain additional official amendments to the Bill, which could not be taken up during the subsequent sittings of the House and lapsed with the dissolution of 15th Lok Sabha. The Bill comes as a part of mandatory obligation under United Nations Convention Against Corruption, which was ratified by India on May 9, 2011. The UNCAC, which acts as a universal legal instrument to deal with the menace of corruption globally, provides a mechanism for member country to deal with bribery among foreign public officials and officials of public international organisations. A 'public international organisation' includes any international body formed by states, governments, or other public international organisations, including, for example, a regional economic integration organisation. As per the old Bill, the government can attach, seize and confiscate property of offenders. Besides it has provision for extradition of an accused official. Black money laws are in place, but who will enforce them?